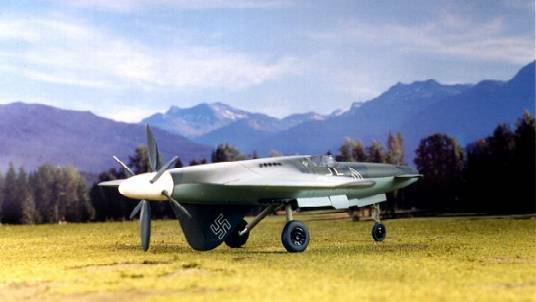 This 1941 aircraft design was to be a possible successor to the Messerschmitt Bf 110 heavy fighter. Although of a unusual configuration for that time, there were advantages (and disadvantages) to its rear wing/forward canard construction. 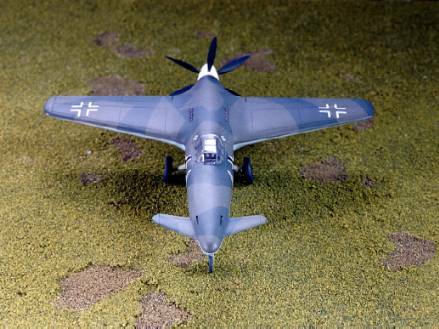 The Hs P.75 featured a tapered fuselage, with the slightly swept-back wings being mounted mid-fuselage and set back to the rear of the aircraft. 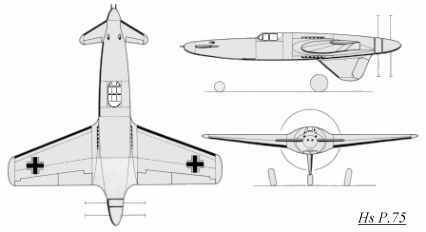 The widened fuselage was designed to house the Daimler Benz DB 610 engine, which were two DB 605 engines joined side-by-side, just aft of the cockpit. 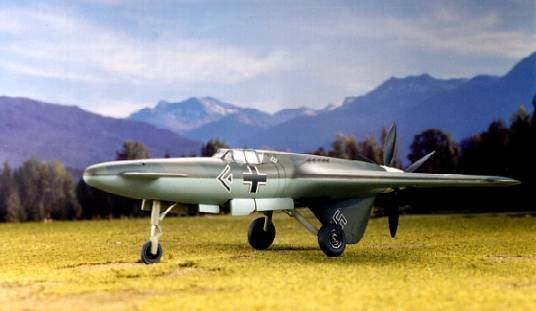 These were the same engines that the Heinkel He 177 used, and were found to be prone to overheating and catching fire.Due to this development, they were changed in 1942 to the liquid-cooled, 24 cylinder Daimler Benz DB 613 engines (two coupled DB 603s) that produced 3500 horsepower. 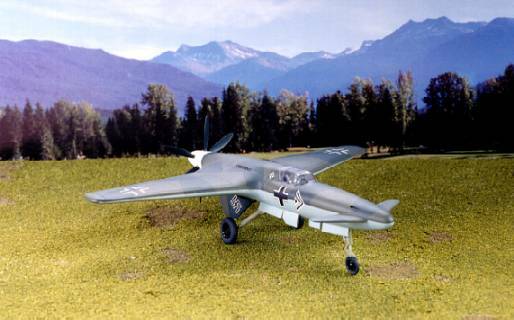 Both engine configurations were to drive contrarotating propellers (to offset tourque) of a 3.2m (10' 6") diameter via an extension shaft. There were a pair of swept-back canards located on the nose of the aircraft, that were to serve the purpose of elevators. The vertical tail unit was mounted beneath the fuselage, so that it could act as a tail bumper upon takeoff so that the propellers would not strike the ground. Since the propellers were located at the rear in a pusher configuration, a tricycle landing gear arrangement was chosen. Fuel was contained in three tanks, one in each wing and one behind the cockpit. 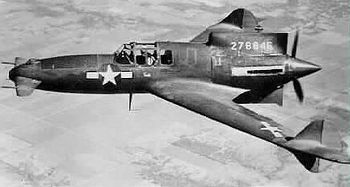 A single pilot sat in the cockpit which was located about midway along the fuselage, and four Mk 108 30mm cannons were mounted in the nose. The advantages of the pusher propeller/forward canard design was that it opened up the pilot's view, plus the weapons installation was much simplified and could be concentrated. The disadvantages would be engine cooling plus an ejecction system or propeller jettison would have to be designed for the pilot to safely exit the plane in case of an emergency. This basic design was realized in several WWII aircraft designs, notably the Kyushu J7W1 Shinden and Curtiss XP-55 Ascender . Although good results were obtained with a model in the windtunnel, this design was not followed up. Justo Miranda's excellent Henschel Hs P.75 drawing.